More Photos of the Historic Garfield Cemetery. Here are more interesting views of the Garfield Cemetery. 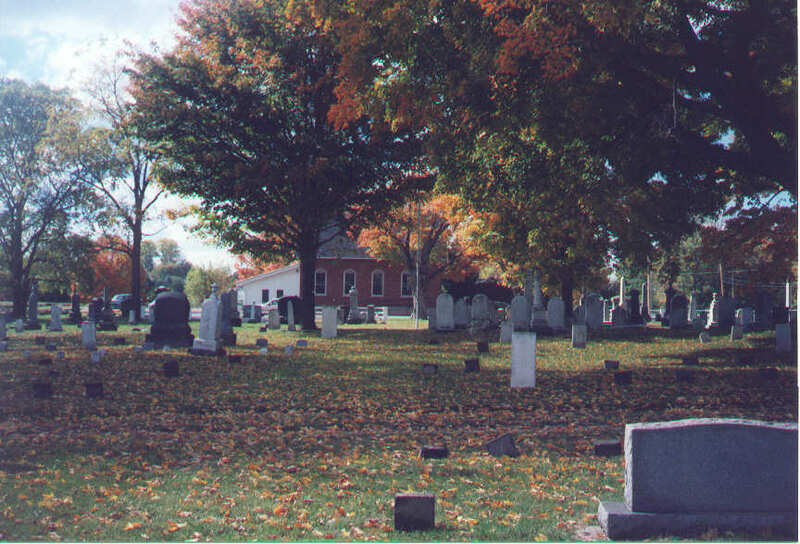 The top photo is of a fall day at the cemetery. It looks west from the Garfield Plot towards the Sheffield Village Hall. The middle photo is the Burrell Grave. Enegraved on the momument is the nanes of Robbins (1799-1877), his wife Eliza (1801-1870), their children, Solon (1826-1827), Phebe Ann (1827-1851), Solon J. (1829-1854), Edward P. (1835-1891) and his wife Rosa C. (1840-1918). 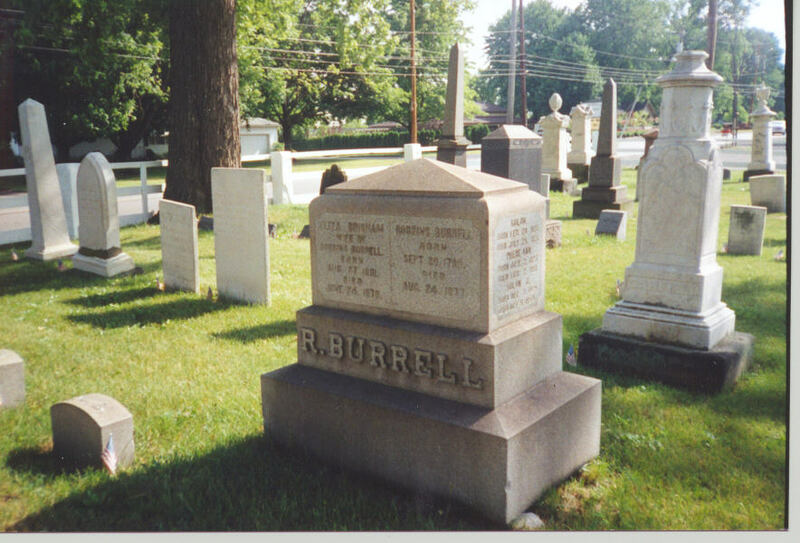 Robbins Burrell hid runaways at the Burrell Farm, as part of the Underground Railroad. Other Burrell grave are nearby. 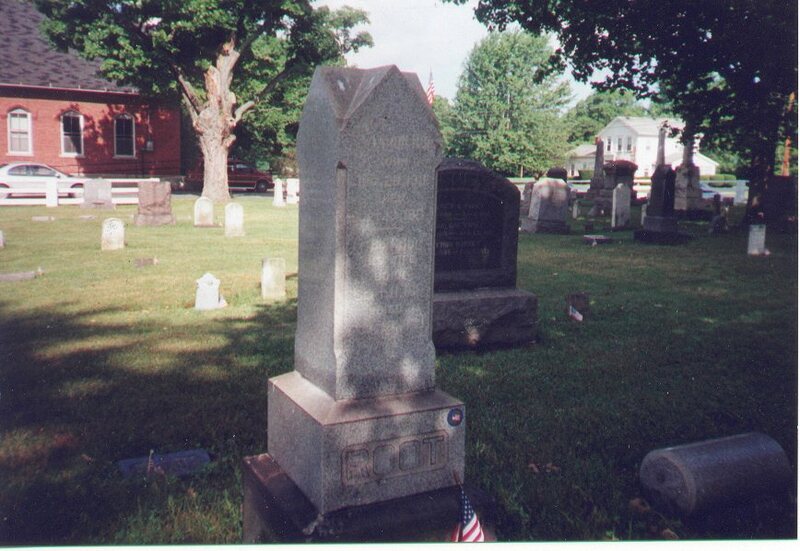 The third photo is the grave of Capt Aaron Root(1801-1865) and his wife Esther (1811-1872). He was a veteran in the GAR, and the webmaster placed a flag to honor his service. Plus Capt Root sailed runaways to Canada, as part of the Underground Railroad.